Here is the real scoop from Ableton themselves. The short answer: 32-bit. People who are playing live sets (22gigs of sample audio, 100plus channels – dogs cats and frogs) might be the only ones who really need 64 bit. Below is what Ableton has to say. Read the full article here. The terms 32-bit and 64-bit refer to how much of your computer’s memory (RAM) can be used by applications. The 32-bit version of Live (like all 32-bit applications) can use up to four gigabytes of RAM, which means that it may not be possible to use very large sample collections or very memory-hungry plug-ins. In contrast, the 64-bit version of Live can use a theoretical maximum of 16 exabytes of RAM – much more RAM than computers actually have. This means you can work with Live Sets (natively, with third-party plug-ins, and in ReWire configurations) that are much larger and more memory-intensive than in the 32-bit version. There are no further technical advantages of a 64-bit version of Live. I have a 64-bit operating system, so I need to run the 64-bit version of Live, right? No. 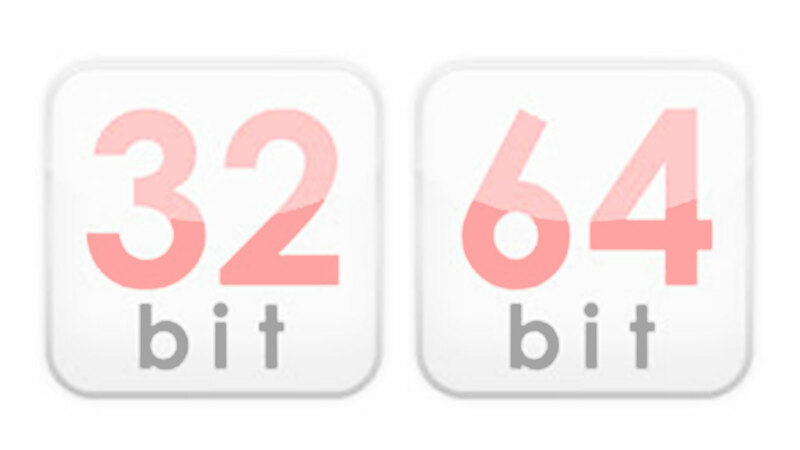 Current 64-bit versions of Windows and Mac OS X support 32-bit applications. But a 64-bit version of Live has a better system integration and therefore performs better than a 32-bit version on my 64-bit operating system, right? Not necessarily. There are no differences in the CPU handling between the 32-bit and the 64-bit version. The only advantage to be gained from the 64-bit version is the ability to address additional RAM. Live is running unstable on my 64-bit OS, the 64-bit version of Live will solve that problem, right? Probably not. The first point to consider is that most of the 64-bit implementations are rather new (hosts, plug-ins, ReWire, etc.). It is quite likely that initially these 64-bit programs won’t be as stable as the equivalent 32-bit versions. The only stability issues that are solved by the 64-bit version are crashes which happen as a result of Live running out of memory. Does it make sense to run the 64-bit version when I have 4GB or less RAM installed on my machine? No. The advantage of the 64-bit version is that it can address more than 4GB of memory. It is possible but we don’t recommend it. Please note that you will need to manually rename the application after the first installation (Mac) or choose a different installation folder (PC).